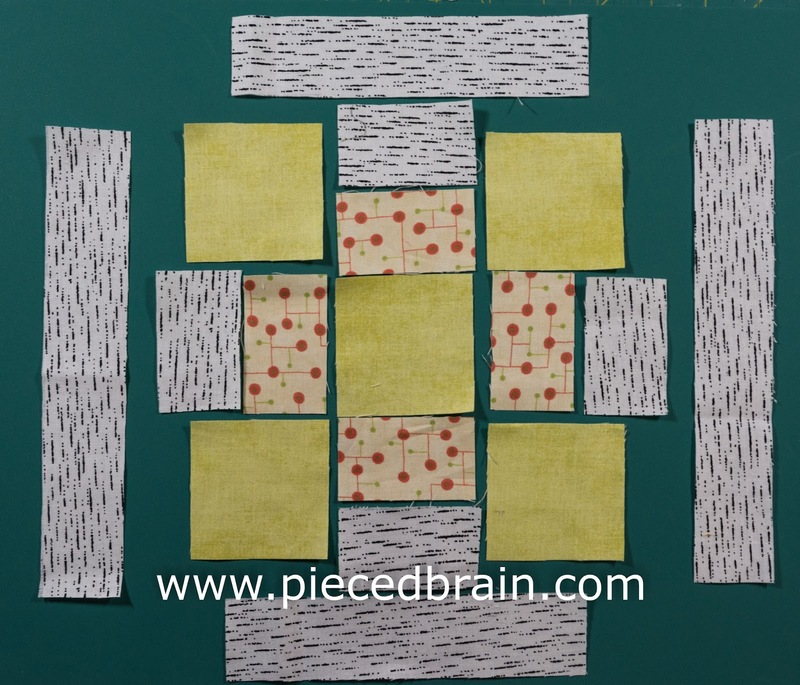 Arrange fabric pieces as shown above next to your sewing machine. 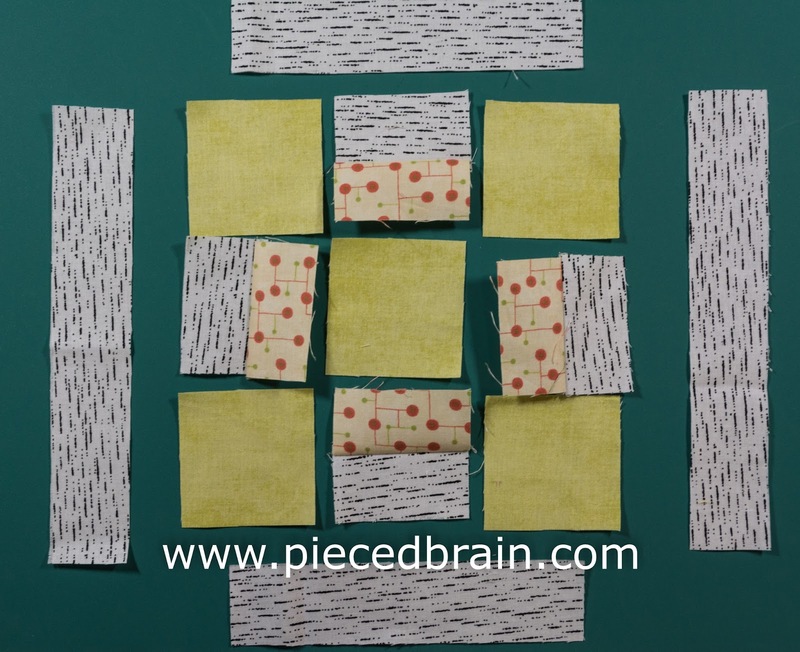 With a 1/4" seam, stitch each building (print fabric) to a parking lot (black on white fabric), and press. 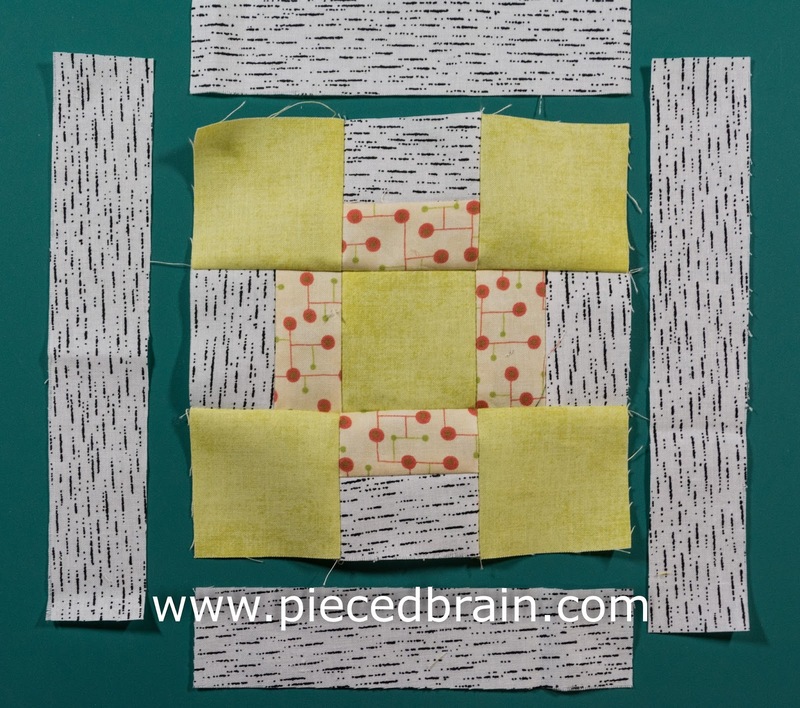 Next, stitch a grassy area (green square) to each building/parking lot combo, to form three rows. Press. 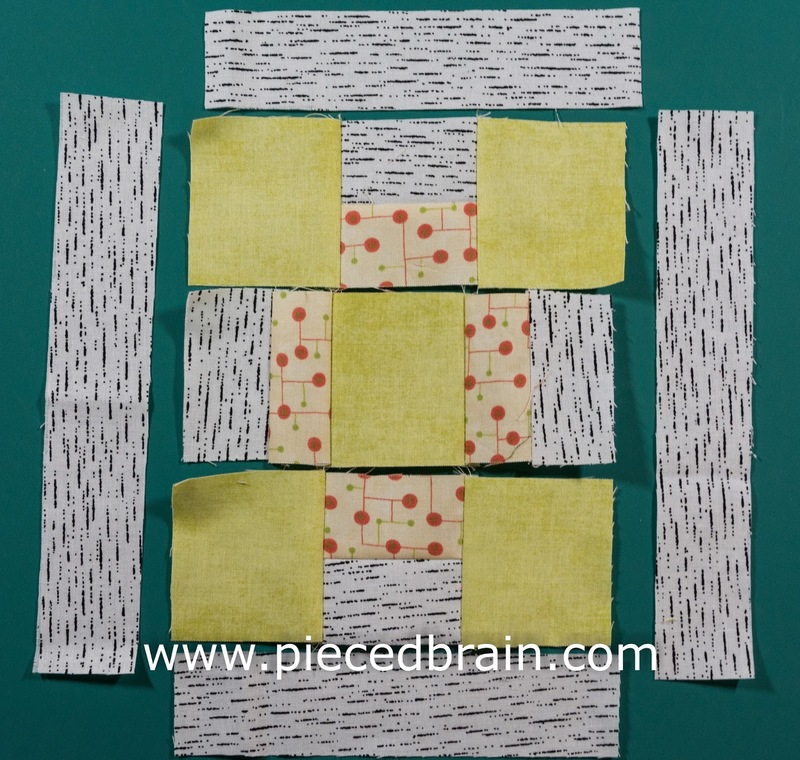 Then, stitch rows together to form the Quad, making sure seams align well. Finally, stitch top road (short) to top of Quad, the other short road to the bottom of Quad, and press. Stitch the side roads, and you are done! OK, all this writing about Quads and grassy areas and roads made me feel like taking a walk! First, though, let me hang this block on my design wall next to the others. They are looking pretty good together. Do you have pictures of your blocks to send me? 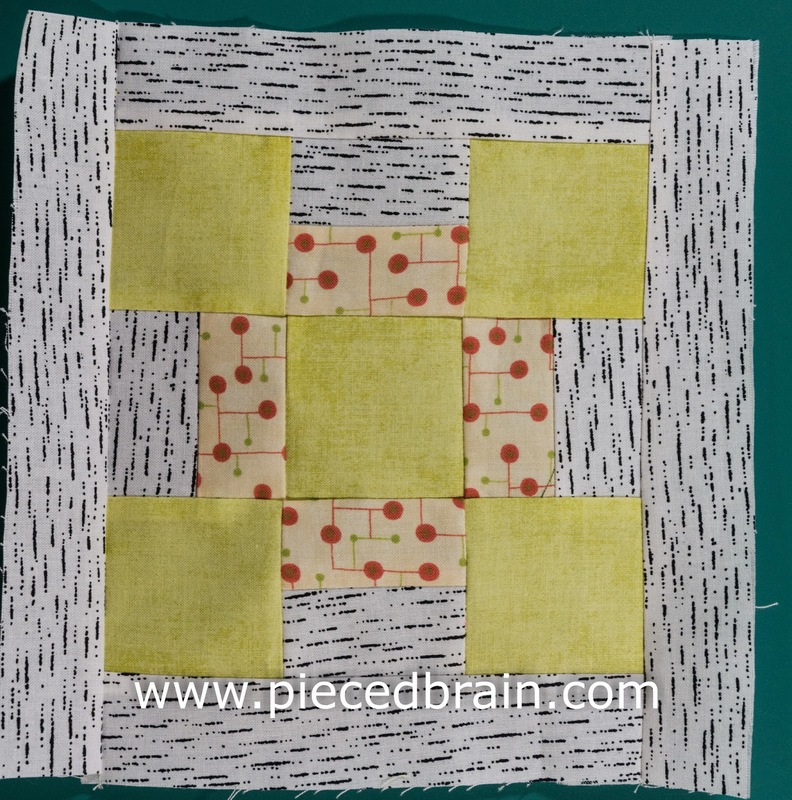 It is fun to see the City Girl Sew Along blocks in other color combinations. Until then, I hope you have a fun weekend!